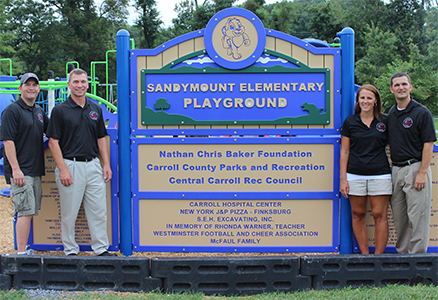 Over the summer of 2013, The Nathan Chris Baker Foundation announced that we would be assisting Sandymount Elementary School in their efforts to raise funds to replace their school playground! In August of 2014, one year later, Sandymount opened their new playground. The Nathan Chris Baker Foundation was able to donate $22,000 to this project. Enjoy your new playground Sandymount! It’s beautiful!